From the beginning, we’ve been tasked with being the Cancer Center’s marketing wingman. The primary message that we’ve helped hammer home is that those individuals with cancer don’t have to go out of town to big cities to get world-class treatment, but right here in their own backyard. Through one-on-one personal accounts from real people, this continued campaign highlights the technology and resources, but always comes back to human emotion. One of the challenges in providing marketing assistance to an organization such as this is trying to anticipate what they’ll need next. The Cancer Center has many different initiatives and components that need attention, but figuring out what to market when, and how, and to whom is a tall task. That includes media buying as well – with an increasing number of media outlets, we’ve been careful to select mediums that best reach their audience, including running digital advertising campaigns. What digital campaign would be complete without an updated web experience? 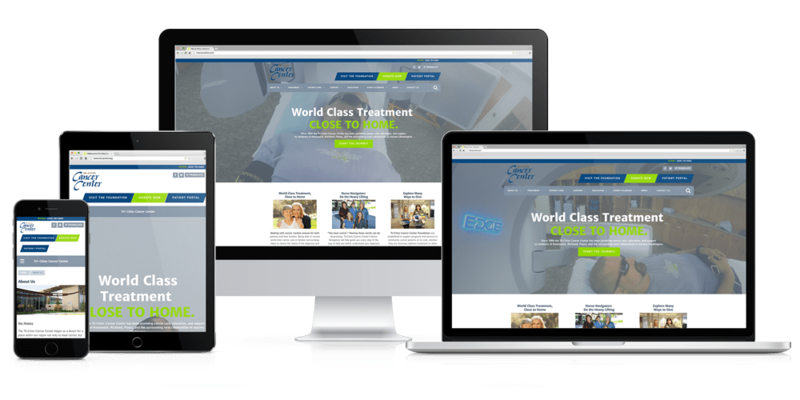 The Cancer Center's previous site lacked mobile integration, something that was desperately needed to coincide with their robust digital campaign. Along with mobile support, we deployed a multisite network to make it easier for the Cancer Center staff to administer updates between the Foundation (fundraising side of the organization) and the Cancer Center (the patient-care facilities). 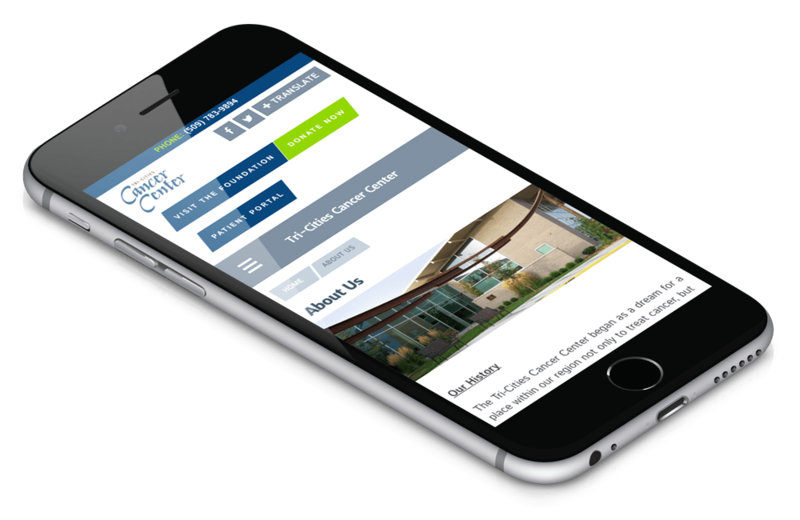 With the added bonus of better organizational tools for maintaining newsletter archives, and easier news article distribution, the Cancer Center is poised to make a mark on its visitors. In our short time together, the Cancer Center has taken great strides in boosting its marketing reach. Through our several TV and radio campaigns, as well as significant community outreach and fundraising, the Cancer Center is well on its way to achieving its goals. But the way we see it, the best is yet to come.